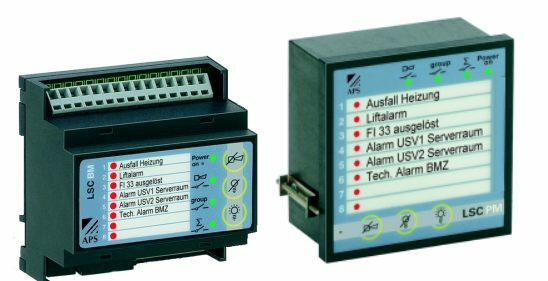 LSC is the ideal fault monitoring system for the collective processing, display and acknowledgement of all alarms in a building or system. For example, activation of the lift alarm, a fault in the heating system, the failure of the garage door and the triggering of a CO2 alarm can be detected by one simple device which can also take the necessary action. Master module with 8 inputs plus an LED display per input. 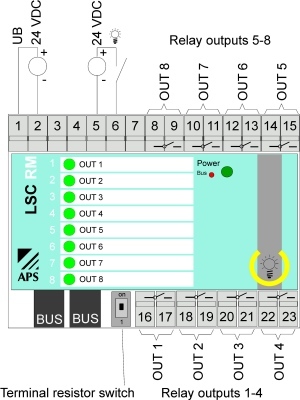 This module has three integrated buttons for horn- and lamp acknowledgement and lamp test. Each BM also comes with an integrated potential-free collective-, group- and horn output. The alarm LEDs can be labelled using insert strips. Each input could be separately programmed if it is an NO or NC contact, Furthermore, each input can be delayed with a time from 1 to 255 seconds. 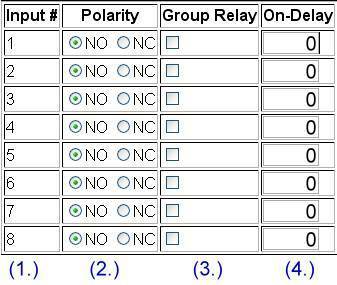 Relay module with 8 potential-free relays. The inputs on the BM can be connected to the RM. LEDs on the front panel indicates the status of the relay. These can be labelled using an insert strip. A button for the lamp test has been integrated into the front panel. The panel module serves as a separate control and display unit for front panel assembly. 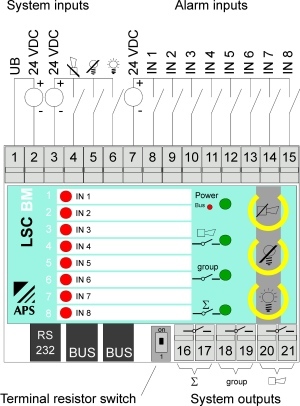 It indicates the fault alerts for the connected basic module. Buttons are also integrated for horn- and lamp acknowledgement and lamp test. The alarm LEDs can be labelled using insert strips. The LSC is supplied as ready for operation in stand alone mode. 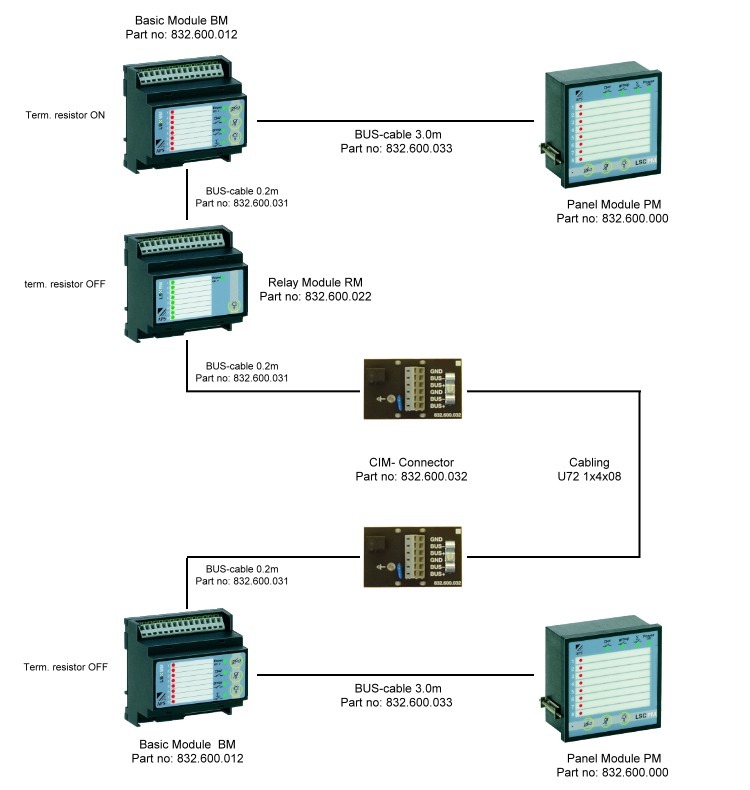 To connect it to other modules, and to set up all parameters such as delay times, output configuration, etc., terminal software has also been provided. This software enables you to create, transfer and save all programmes with minimum fuss. The common alarm relay is activated by the first alarm and becomes inactive again when no further alarm conditions exist. The common alarm relay is activated by the first arriving alarm and becomes inactive again after the lamp acknowledgement. On the arrival of further alarms the collective alarm relay becomes active until the next lamp acknowledgement. For each alarm arriving the common alarm relay becomes active in the cycle of the blinking frequency, until the lamp acknowledgement. On the arrival of further alarms the collective relay actively blinks again until the next lamp acknowledgement. The same functioning as for the common alarm DYNAMIC, but the relay remains statically active after the lamp acknowledgement until no further alarm conditions exist. Image of the alarm linkage. The relay becomes statically active by the first alarm condition originating from the linkage. The relay output is reset when no more alarm conditions exist. The relay is statically activated by the alarm linkage until the horn annunciator has been acknowledged. The relay remains statically active due to the alarm linkage until the lamp acknowledgement has been activated. The relay remains set in blinking mode whilst alarm conditions are communicated via the linkage. After acknowledgement of the alarms the relay remains statically active until no more alarm conditions are communicated via the linkage. 832.600.903 LSC PM replacement labelling insert, 3 pcs. 832.600.904 LSC BM/RM replacement labelling insert, 3 pcs.